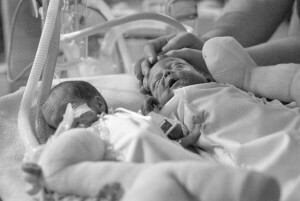 Twin girls, Emma, who survived, and Elli, who didn't. After losing an infant daughter of his own, Arthur Fink volunteers for a group dedicated to taking images of dying newborns. Twin girls, Emma, who survived, and Elli, who didn’t. After losing an infant daughter of his own, Arthur Fink volunteers for a group dedicated to taking images of dying newborns.